Are you on board the Warcraft movie hype train? Then you’ll want to read Durotan, the official prequel novel to the film. 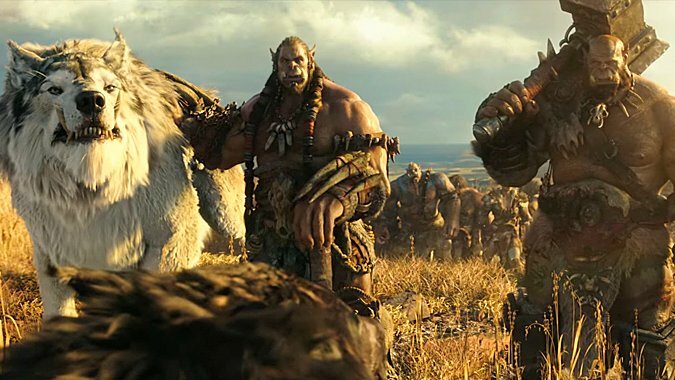 Written by Warcraft veteran Christie Golden (who’s also writing the movie’s official novelization), Durotan will show the fateful meeting between Durotan and Gul’dan that will send the Orcs to Azeroth — leading, of course, to war with the Humans. “But wait, Liz,” I hear you asking. “Isn’t that the same story as Rise of the Horde, only with more Durotan?” I’m so glad you asked, because the answer is… sort of. What you have to remember about the Warcraft movie is that the world the Warcraft movie exists in isn’t the world we play World of Warcraft in. While it’s not as complicated as certain comic book multiverses, the Warcraft movie exists in its own little world that’s similar, but not identical, to the one we’re familiar with. This means books in the Warcraft movie universe, even if they’re retreading old stories, may be all new to us. So will what we read here — or see in the film — change the game? Considering books — like Rise of the Horde and The Last Guardian — that set up the canon the Warcraft movie is re-telling are out of print and unavailable digitally (we recommend used bookstores), one wonders if Blizzard is using this as a chance to re-write its own history. @FAEOTUS It differs from game continuity in some areas, yes. Not my place to definitively say anything about anything being canon/non. Since Blizzard hasn’t said anything one way or the other, we’ll have to wait and see. (Hopefully they’re just gearing up for shiny new editions of some of these hard to find classics.) In the meanwhile, you can pick up Durotan in paperback today from your local bookstore or order it from Amazon. If you’d like to catch up on more of Warcraft’s story — though not necessarily the movie’s story — we’d also recommend the aforementioned Rise of the Horde and The Last Guardian (or, if Last Guardian is too pricey, pick up the Warcraft Archive, which includes it).